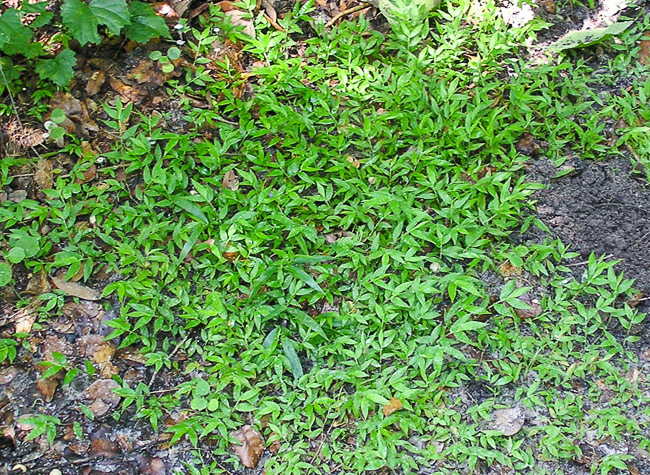 Florida status: Native, common in its moist shaded habitat. 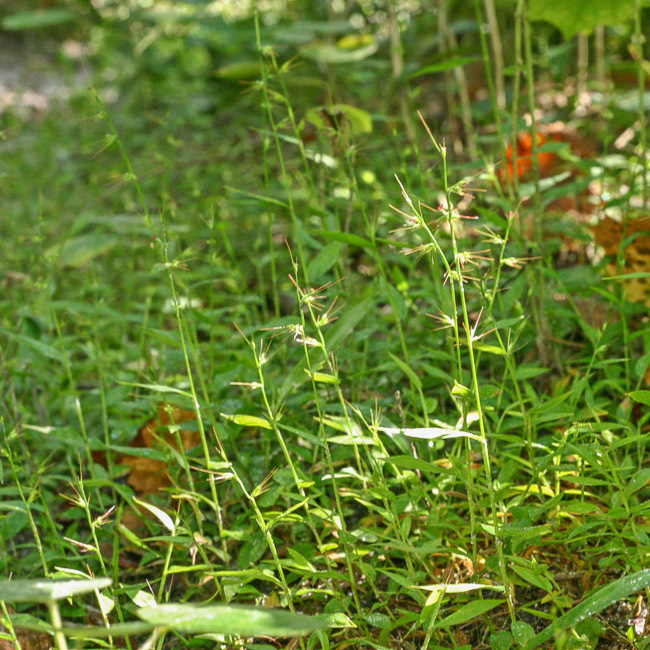 Recognition: Shade-loving, ground-hugging, broad-leaved grass. 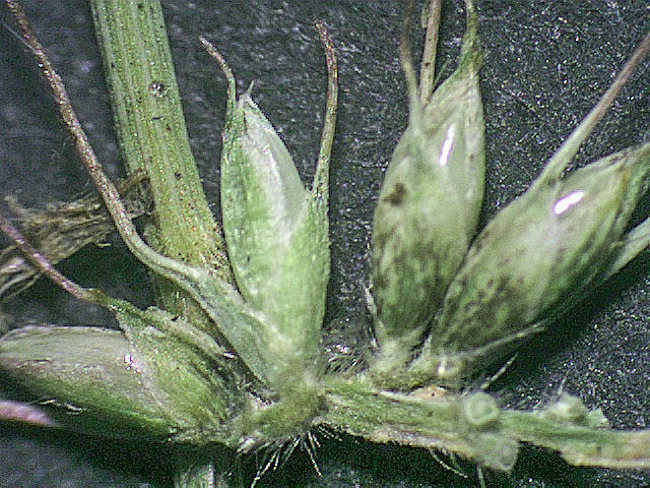 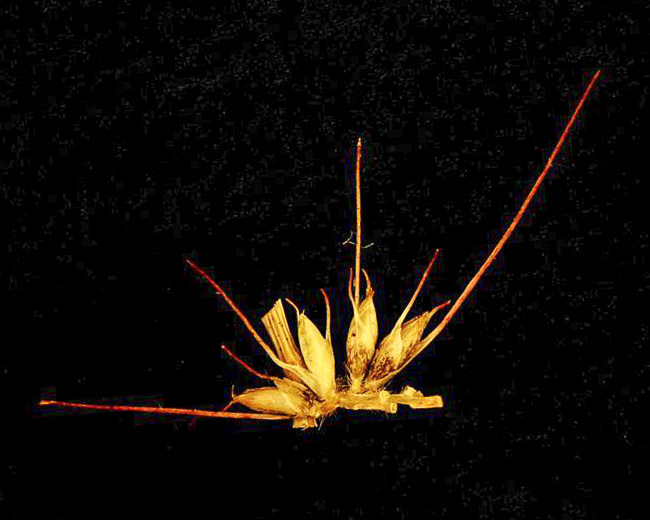 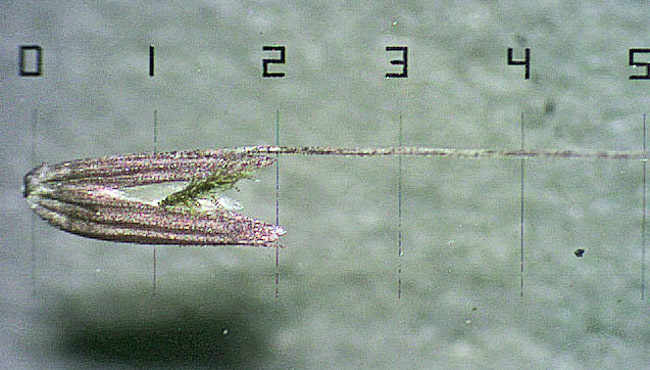 Awned spikelets in widely separated clusters (or on short scattered side branches) along the main axis.